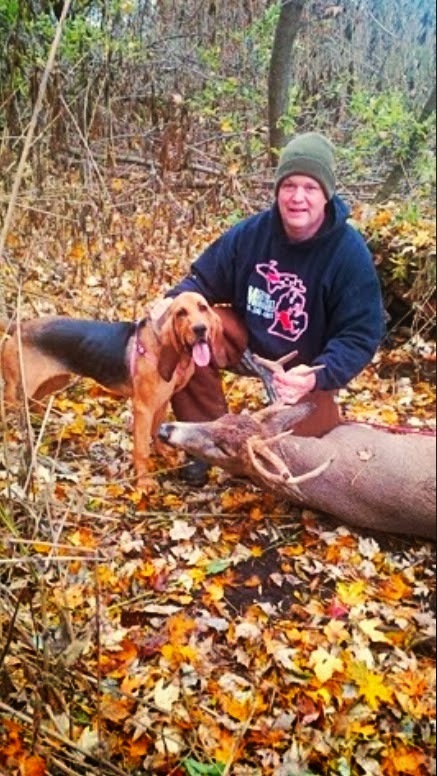 I first off want to thank Rob Miller founder of michigan deer trackn hounds! 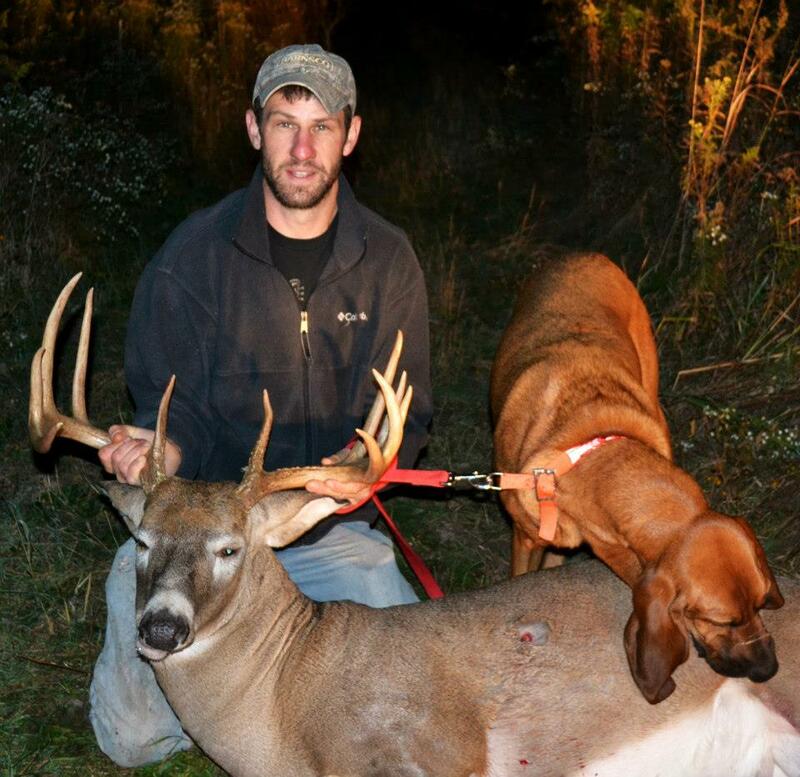 On the evenning of October 28th 2012 I put what i thought was a great shot on a really nice Michigan 8 point. I gathered up a couple buddies and took up track on him after waiting an hour. The blood started off slow but started picking up a little bit as the track went on. 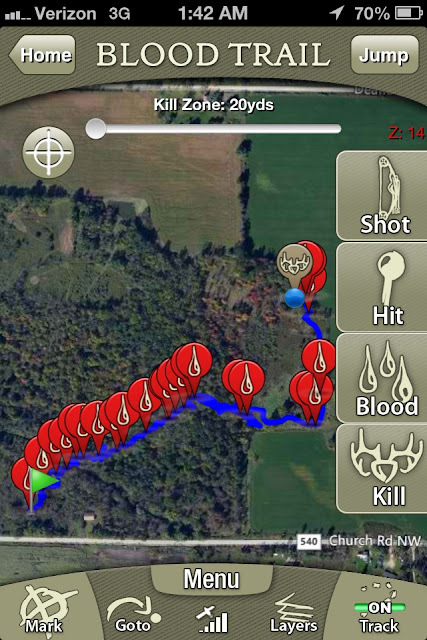 After tracking the deer roughly 150 yards I lost confidence in my shot. 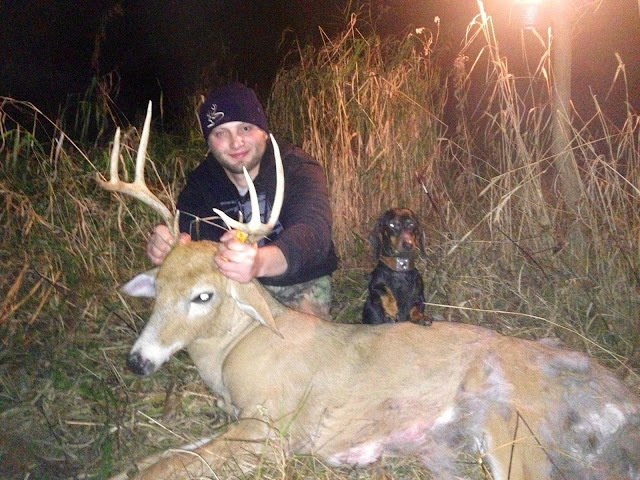 At that point I decided to call Rob Miller and have the tracking dog brought in. Once Rob and his dog Sypris arrived we took to tracking. I was impressed right from the beginning of the track as Sypris lead us to blood we hadn't seen earlier. She worked the track hard the whole track and continued to lead us to new blood. 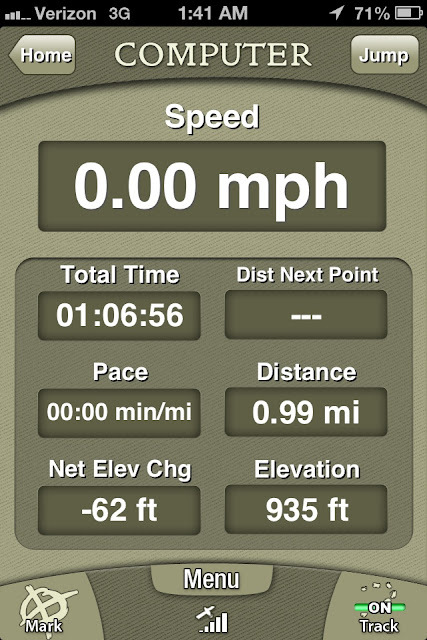 After Rob informed me that we had gone a half mile I started losing hope in finding a dead deer. As I continued to watch Sypris work her magic I grew more confident as she started picking up pace. Thats when Rob said "just keep with us, I have a good feeling we are going to find a dead deer soon". 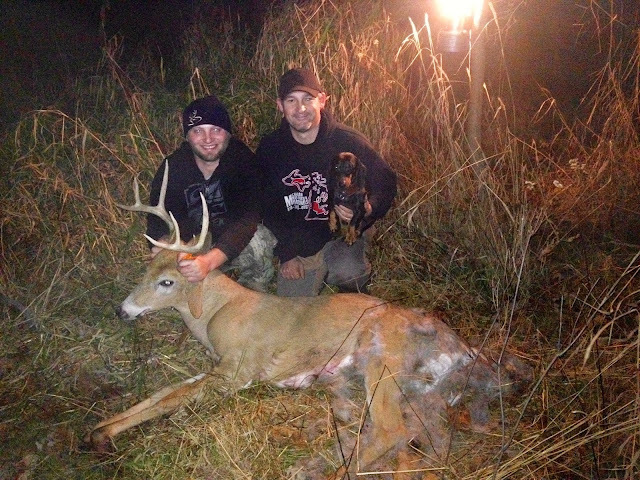 Sure enough 20 yards later Sypris lead us to my dead buck! I was in complete shock as i wrapped my hands around the horns of my buck after Sypris and Rob tracking my buck for a whole mile with little to no blood. That was the most amazing track I have ever had the pleasure to witness and be part of. 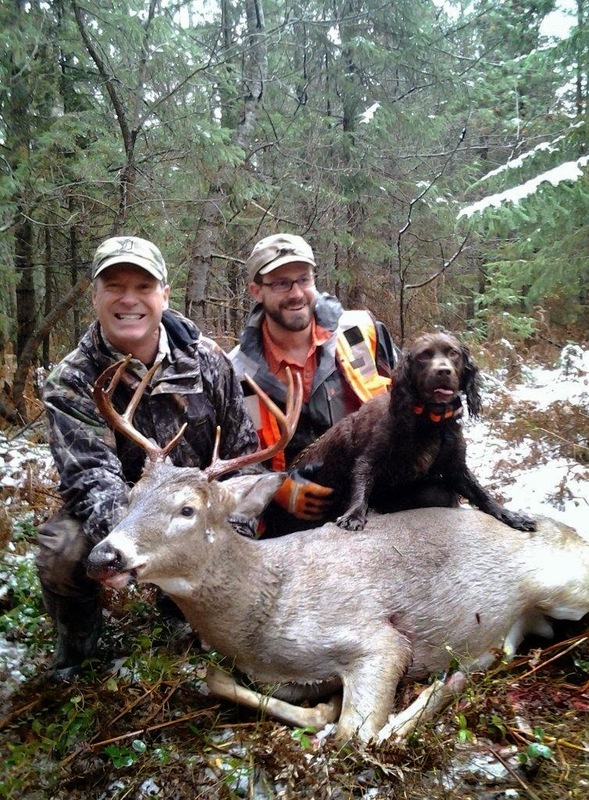 If it was't for Rob Miller and his dog Sypris I would have never found my buck. I lost blood at 150 yards. I can't thank you guys enough for your hard work and dedication to find my buck. Next time I have any issue tracking I know who I will be calling!